La Habra is a city in Orange County, California. Its related city, La Habra Heights, is located to the north of La Habra, and is in Los Angeles County. In 1839, when vast herds of Mexican cattle and horses grazed over the hills and valleys of southern California, Mariano Reyes Roldan was granted 6,698 acres and named his land Rancho Cañada de La Habra. The name referred to the “Pass Through the Hills,” the natural pass to the north first discovered by Spanish explorers of the Portola expedition in 1769. In the 1860s, Abel Stearns purchased Rancho La Habra. The city was incorporated under general law on January 20, 1925, with a population of 3,000. The police force was organized in 1926 and employed a chief, traffic officer and patrolman. By 1928, the city was the largest avocado center in Southern California. In 1930. the first fire department building was constructed followed by the original City Hall in 1935. By 1950, the population reached nearly 5,000. 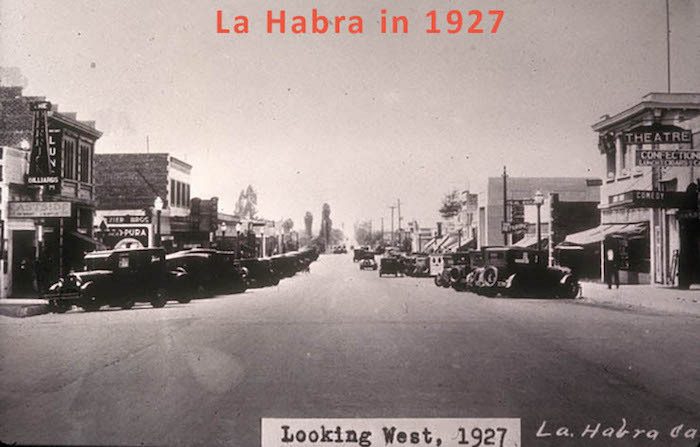 La Habra had a population of 60,239 in the 2010 census.